League One side Fleetwood have promoted assistant manager Chris Lucketti to caretaker manager after they sacked Graham Alexander on Wednesday. 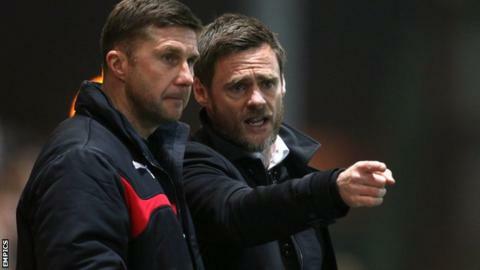 Chairman Andy Pilley confirmed to BBC Radio Lancashire that the 44-year-old will take charge of the first team. He played with and worked alongside Alexander at Preston, before joining him at Highbury Stadium. The former Bury, Huddersfield, Preston and Sheffield United centre-back will be assisted by Barry Nicholson. Lucketti's first game will be an away trip to Scunthorpe in League One on Saturday.